In preparation for this goal, he first acquired a B.A. from the College of Islamic Disciplines at the Islamic University of Medina (1979), then an M.A. in aqeedah (Islamic Theology) from King Saud University in Riyadh (1985), and finally a PhD in Islamic Theology from the University of Wales (1994). Interestingly enough, His PhD thesis was on “The Exorcist Tradition in Islam”. After graduation from the University of Medina, Dr Bilal spent ten years teaching Islamic studies in an Islamic high school in Riyadh, and another ten years lecturing in Arabic and Islamic studies in the American University in Dubai, UAE. In 1994 he founded the first Islamic Information Center in Dubai. He has served as the head of the Department of Arabic and Islamic Studies at Preston University-Ajman, UAE; lecturer and director of the Da’wah and Education at Qatar Guest Center, Doha, Qatar; founder and head of the English medium Islamic studies department of Knowledge International University, Riyadh; founder and head of the College of Da’wah and Islamic Culture (English Section) at Omdurman Islamic University, Sudan; founder and head of Preston International University College in Chennai, India; and founder and Dean of the Islamic Studies Academy in Doha, Qatar. But perhaps his greatest achievement, and the one for which he was listed in the Jordanian publication, ‘The 500 Most Influential Muslims’, is the historic founding of the Islamic Online University which in only 5 years has over 80,000 students registered from every country on the face of this earth! Unlike the other educational programs he has founded and overseen over the years, IOU makes it possible for any person from any location in the world to receive an Islamic education absolutely free. 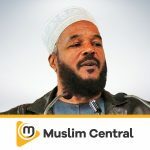 Discover more series by Bilal Philips.